Thanksgiving was a busy time and we have THREE litters to offer the world! All born the last week of January and we are now accepting deposits to hold your place in line to select your future family member. See our puppy page on what each litter has to offer. Meet our new mama, Sadie! You've been asking for large dogs, and we're finally able to answer! Sadie & Finley have graced us with their first litter together and her first litter ever! 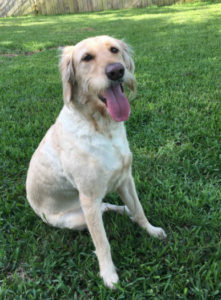 With her blonde coloring and lab-type coat, combined with Finley's red curls, we have some large, beautiful cream, apricot, and red puppies, just like Coral used to produce! Check out some stories about our furry family and what drives us. You'll get a monthly little inside scoop when we have two hands available, post-belly rubs. We may not always be on time with updates, but know it's because our dog's are getting all the love in the world! 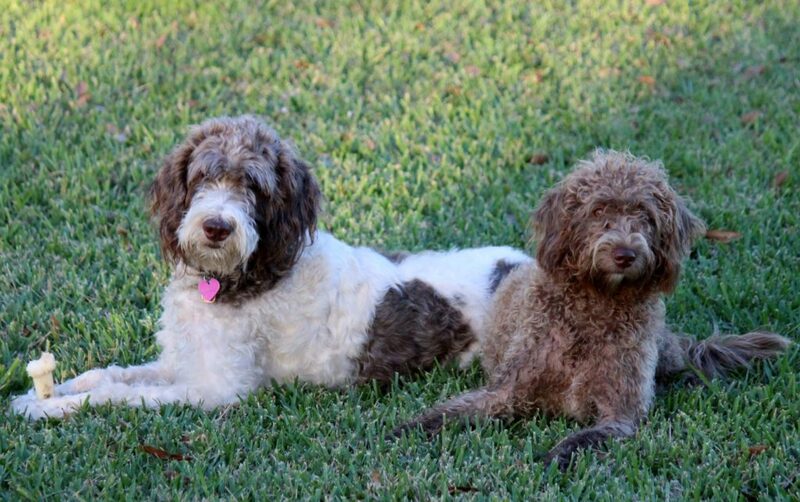 We are family breeders of quality Labradoodles in south Florida. We have been breeding dogs since 1993. Several of our dogs have been placed in companion programs as service dogs. We're proud to say our puppies live all over the nation, including one in Puerto Rico! We selectively breed for temperament, health and standard of the breeds. Our dogs are family-raised primarily in our house and get frequent socialization from family and friends. All of our dogs are health tested and come with a 2 year Health Guarantee. We live on 5 acres in Loxahatchee, Florida. We have a 2 acre fenced back yard with a lake and a pool. The dogs and pups get a lot of exercise and are acclimated to water early on. We also have chickens and ducks and they intermingle with no issues. We take pride in bringing beautiful, quality and loving pups into this world. 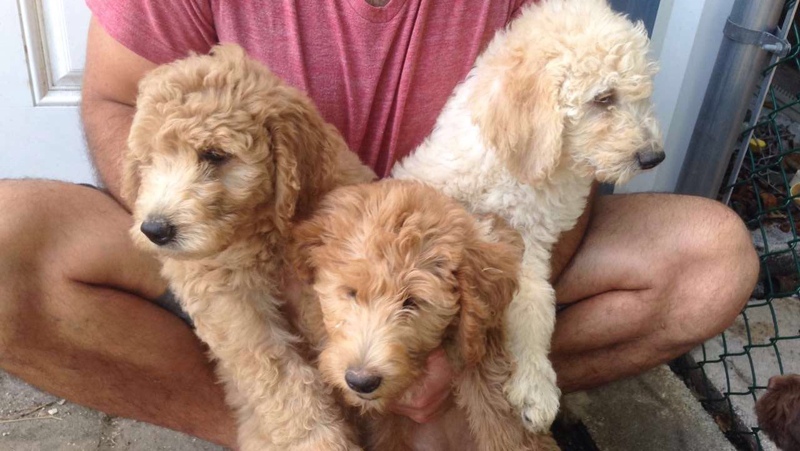 Interested in buying a Labradoodle Puppy from Cricket Creek Kennels? Check out our puppy page for updates on litters and when you're ready to make the four-legged leap, we're ready to help you. 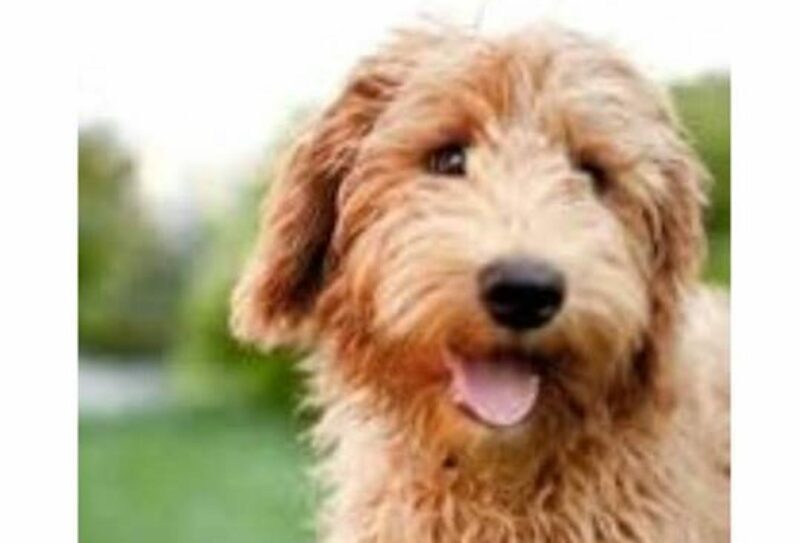 While you're at it, follow us on Facebook for more furry family fun!